You are here: Home / Southeast Asia / Vietnam / How Much Does It Cost To Travel Vietnam? Traveling in Vietnam is awesome: the people are friendly, getting around is easy and the food is delicious. Plus, travel in Vietnam is not expensive at all! 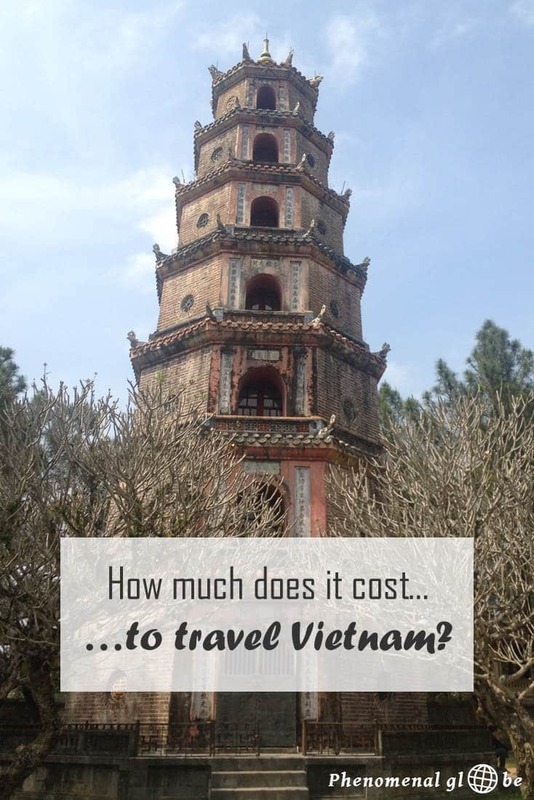 Curious about the costs of a trip Vietnam? 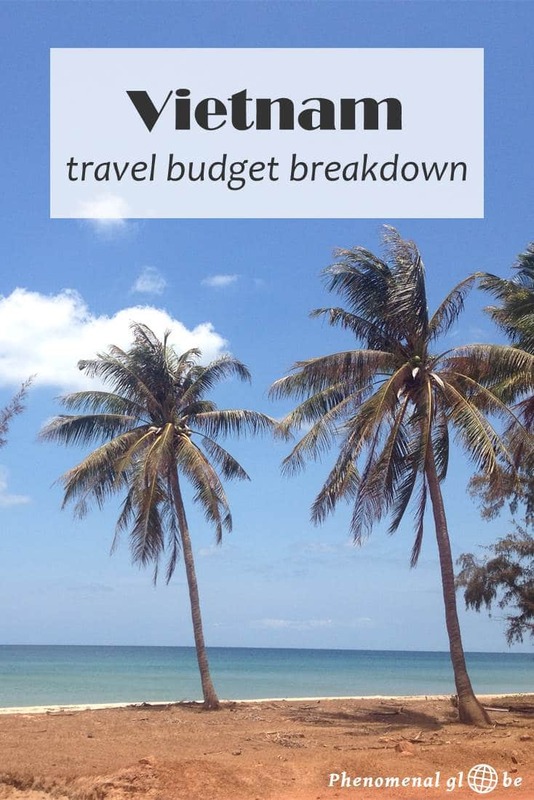 Check the infographic for a full budget breakdown of our 1 month trip around Vietnam. • I traveled with my husband, all Vietnam travel costs are for the two of us together. • We spent a month in Vietnam, traveling from the North to the South, you can find our itinerary here. • I quote prices in Vietnam Dong (VND) as well as € and $. Obviously the exchange rate varies from day to day, but when we were in Vietnam (March/April 2015) €1 was approx. 25000VND and $1 was around 22200VND. 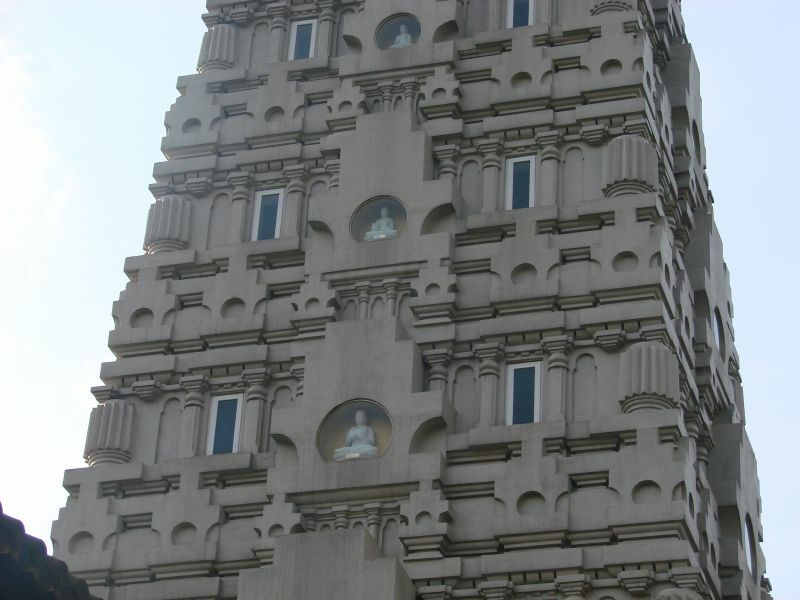 • In total we spend 44 million VND / (€1764 / $1986 in the 30 days we were in the country. This comes down to budget per day of 1.470.000VND / €59 / $66 per day. This includes all expenses in Vietnam plus transportation costs for the trip from Phu Quoc, (Vietnam) to Kampot (Cambodia). It does not include the plane ticket from Manila to Hanoi. These categories add up to 95%, the other 5% is attributed to the $45 1-month single entry visa that we bought to enter Vietnam ($90 for two people, which comes down to $3/€2,7/66700VND a day). During our one month trip in Vietnam we spent 7.852.250VND / €314 / $354 in total on accommodation, whixh comes down to 261.742VND / €10,50 / $11,80 per day. We stayed at private rooms with our own bathroom, often breakfast was included! In the table below you can find the places I stayed at (only the ones I recommend! ), you can find more details about the accommodation in my 1 month in Vietnam itinerary. In total we spent 9.480.000VND / €379 / $427 on transportation, on average 316.000VND / €12,60/ $14,20 per day. Check our complete Vietnam itinerary to read more detailed information about getting from A to B. We traveled by night train, taxi, plane, bus, bike and more! In total we spent 17.145.000VND / €686 / $772 on food and drinks, on average 571.500VND / €23/ $25,70 a an average travel day. Food in Vietnam is fantastic! Everything is fresh, you can add spices if you like, eat soup for breakfast, lunch and dinner and find delicious smoothies on every corner. Banh Mi was another favorite of mine. In total we spend 7.613.000VND / €305 / $343 on paid activities, which comes down to 253.767VND / €10,20 / $11,40 a day. If you want more information about the activities, check my things to do in Vietnam post. These are the most important costs to take into account when you are traveling in Vietnam. As you can see Vietnam is a very budget friendly destination and totally worth a trip! I found Vietnam an intriguing country with a very interesting history, beautiful temples and pagodas, friendly people and delicious food. 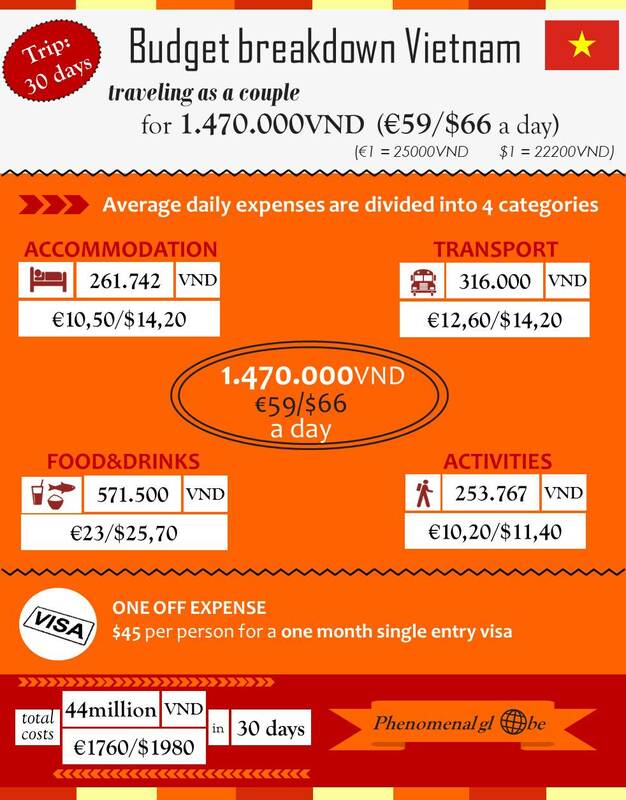 You can download the infographic with the information about costs of a trip to Vietnam below. If you have questions, don’t hesitate to leave a comment! That is much cheaper than I expected. The food looks lovely and fresh and accommodation looks well priced. Nice summary. I am planning to go to Vietman to visit a friend of mine who is working as a teacher there, so it’s really helpful to learn how much I am ging to spend! This is a great breakdown. Always appreciate having this perspective before I travel somewhere. Thanks for sharing. Now that is impressive! $33 pp per day – nice one guys. We ended up flying instead of bus/train which upped costs a bit for us (we averaged $43 pp per day). Otherwise, incredible country where you get so much for your money. Hoi An our favourite. Wow, I really need to quit vacationing in Europe. Our US money goes so much further in Asia. Thanks for the info. I would love to visit Vietnam. Haha Europe is beautiful as well, but I loved Vietnam. It’s really easy to travel around, the people are superfriendly and the food… I would fly there tomorrow just for the food! Oh dear, 66$ per day for 2?! Vietnam used to be much cheaper 7 years ago when we were there. But I guess, it also depends a lot on the type of accommodation you use and the places you eat at. $66 per day for a couple, so $33 per person. I can imagine it was a lot cheaper 7 years ago;-) But I didn’t think it was that expensive, it was about the same price level as Laos, Philippines and Malaysia. This is really useful. I like to see how far money can go in a country, to see how affordable it is to travel long term there. Vietnam is very affordable. You get great value for your money in Vietnam – I was impressed how many guesthouse were offering great and clean rooms for only 20USD… And the food! Amazing! Excellent article and very informative! This will be very helpful! You did a good job at saving money. I have never really looked into the costs about daily travel. I should really track these things more. Haha thanks Kevin, I did exactly that;-). But happy to hear my slight OCD has been helpful in your travel planning, have a great trip to Vietnam! Nice post! I’m planning to go to Hanoi on January to experience the winter, and the snow perhaps:p.
I’ll be there for 4 days, would it be enough if I bring 8.5 million dong? The budget for accommodation and the ticket will be calculated separately. I’ll travel solo:). Thank you for reading the post! In my opinion 8,5 million dong should be more than enough, especially if you won’t use that money for accommodation or your flight. Food is very cheap in Vietnam, but if you plan on doing a cruise in Halong Bay it will cost you around 80 USD. If you don’t have enough money you can always get cash from an ATM. Just make sure you have a couple of different bank cards (Maestro Card and Mastercard). Thank you Alice, happy to hear that!